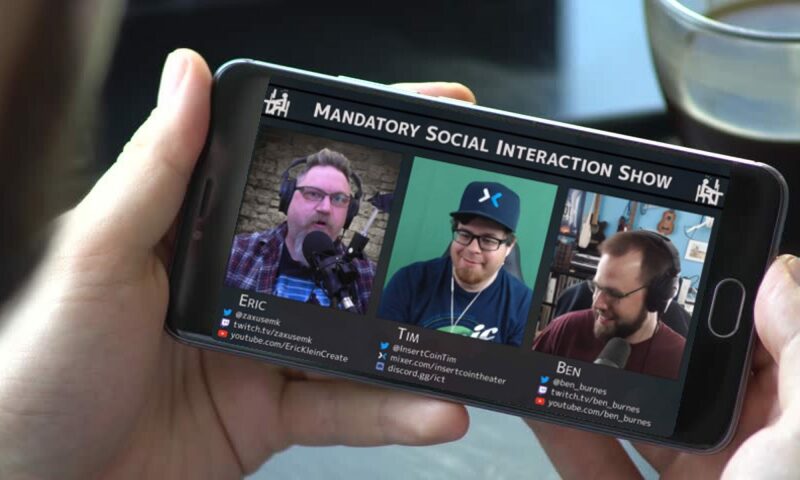 The Mandatory Social Interaction Show is an excuse for Ben, Tim, and Eric to chat about streaming, creativity, and anything else they can think of! Find the show on Stitcher, Google Play, iTunes, and wherever fine podcasts are sold! Next PostNext Episode 22: Stop Stealing My Guys!